My name is Ben Budd. I am an advocate of helping provide professional inspections for, quite possibMy name is Ben Budd. I am an advocate of helping provide professional inspections for, quite possibly, the largest investment of your life. I identify safety and functional deficiencies of a property for the possible buyer, seller, andrealtor to ease their peace of mind. ly, the largest investment of your life. I identify safety and functional deficiencies of a property for the possible buyer, seller, andrealtor to ease their peace of mind. I was a former restaurant manager with nothing but that career on my mind. That is until my wife and I bought our first home. The process was horrible and scary. 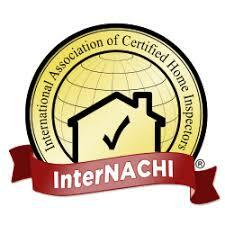 Our home inspector breezed through the inspection and did not identify a multitude of problems. These items should have been reported. My wife and I probably would have not bought that home if we were informed correctly. My goal is to bridge the buyer and realtor bond by giving a detailed home inspection. I want my clients and there realtors to have peace of mind about the home they are investing in. They inspected a home I was moving out of, I would absolutely recommend them. Very knowledgeable, took lots of photos and provided in-depth explanations. Very accommodating company to work with. Anybody needing a fast, efficient, and knowledgably inspection should call A+.